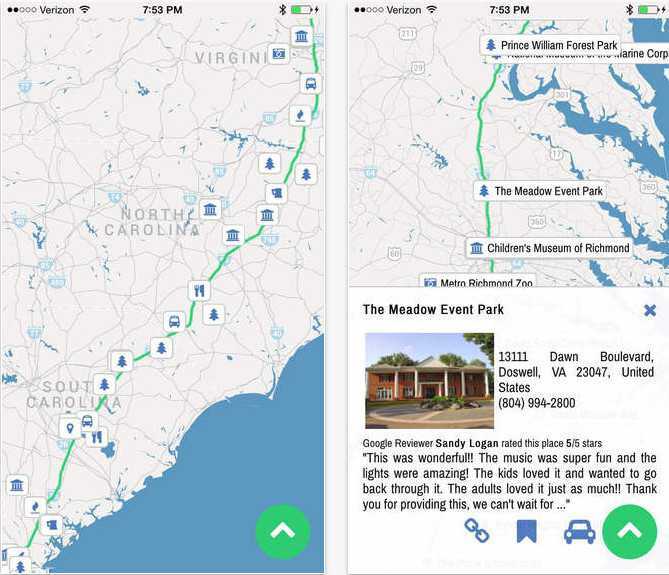 Alongways is a mapping site and app that tells you what’s along the way to where you want to go. I’m a meanderer. I love to take off and wander around cities, both ones that I know well and ones that I’m just getting acquainted with. The problem is, there’s something in my lizard brain that resists wandering with no destination. As much as I want to be a person who can wander without a purpose, I’ve come to accept that I simply am not. Alongways is perfect for me and for other purposeful wanderers. You tell it where you want to go and it tells what to check out along the way. If you’re into something specific (say, vintage stores), you can ask Alongways to tell you where along your way you can find it. It’s a fun way to explore a new town or discover new stuff in a place you’ve been for years. I played around with Alongways for awhile, searching both my hometown of Burlington, Vermont, and my current town of Antigua Guatemala. Both back in VT and here in Guate I found cool spots that I’d never heard of before. While I’m not surprised by the Guatemalan results, I have to say I was definitely impressed with the Vermont ones, considering the fact that I was born and raised there and jadedly thought I know everything. Alongways is available as a web app and also on Android and iOS. It’s minimalist design and quick search features mean that you’ll be turning to it again and again as you get your meander on. So what are you waiting for? It’s time to get exploring! Are you a purposeful wanderer? A meanderer? A traveler? Check out @alongwaysdotcom to discover great spots!